You know those nights when you don’t know what you want for dinner, you both fire several suggestions back & forth but nothing quite makes the cut. 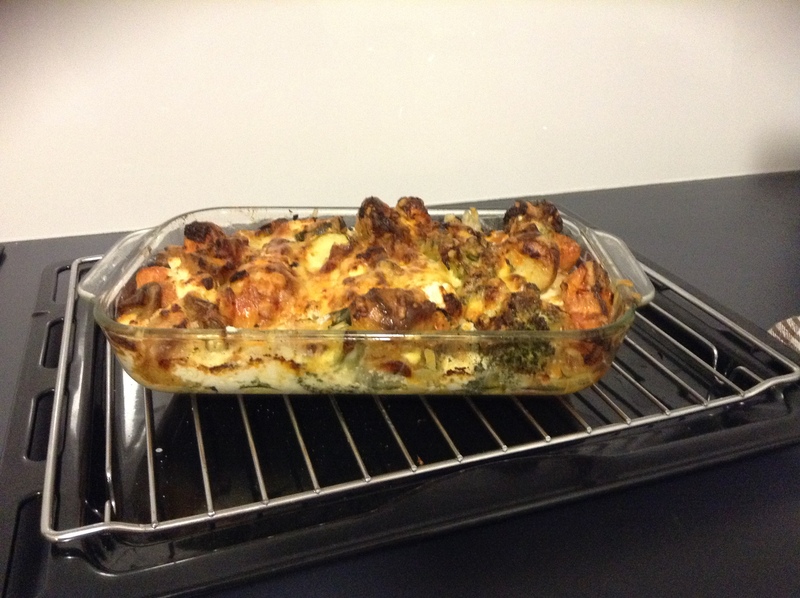 Well that happened to us & this is how Creamy Goats Cheese Veggie Bake came to be a firm favourite in our house. So he came home with some ingredients, pulled stuff out of the fridge & made this amazing dish. It smelled & tasted so delicious that it need’s to be shared & I need to record it for myself so I can make it in the future. 1/2 of a Large Sweet Potato. Chopped in large pieces. 8 Chat Potatoes cut in half. 2 Medium sized Carrots cut in large pieces. 5 Button Mushrooms chunky sliced. Half a head of broccoli, Cut into Florets. 1/2 cup of grated tasty cheese. Marinated Goats Cheese to taste. Preheat Oven to 180* – 200* Celcius. Take your Sweet Potato, Chat Potatoes & Carrots. 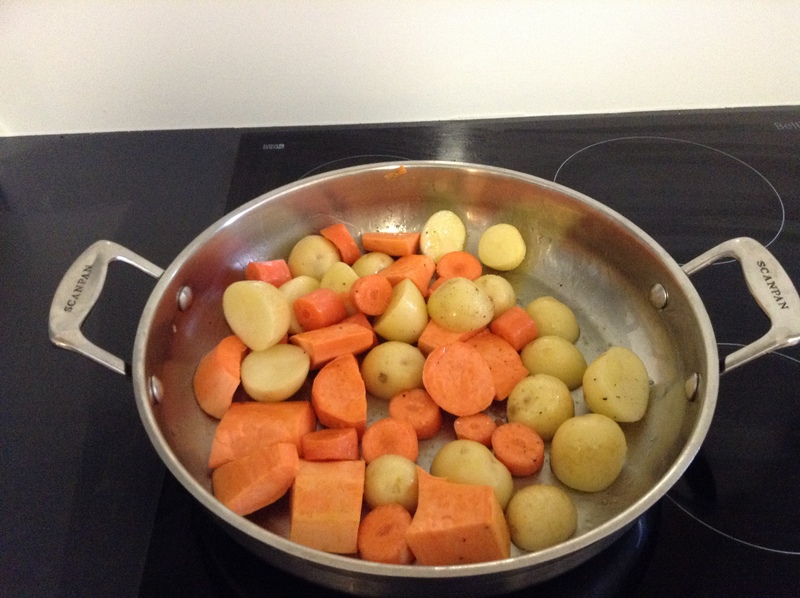 Put them in a oven proof pan, lightly coat in olive oil, add salt & pepper to taste & then roast until the Sweet & Chats potatoes start to go soft. 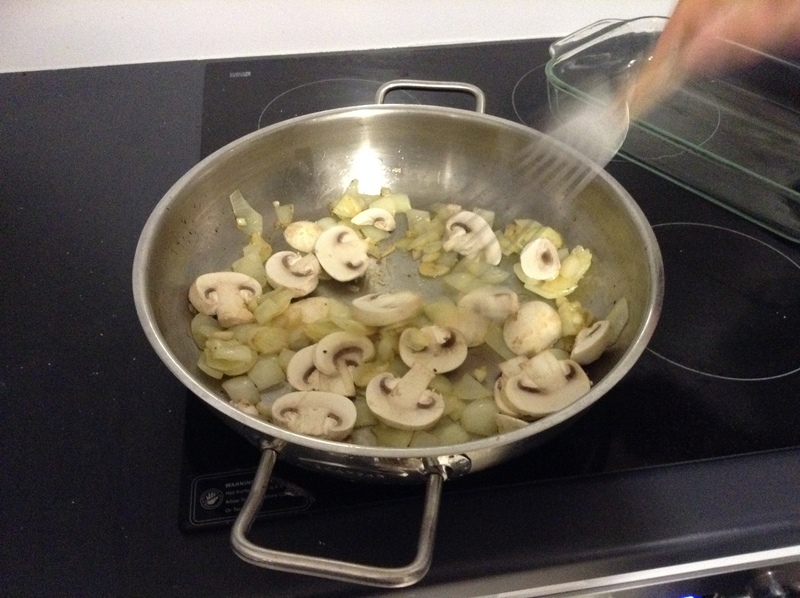 While waiting for them to roast, take your onion, garlic & mushrooms in a pan with olive oil & salt & pepper, saute until slightly brown & then remove from heat. 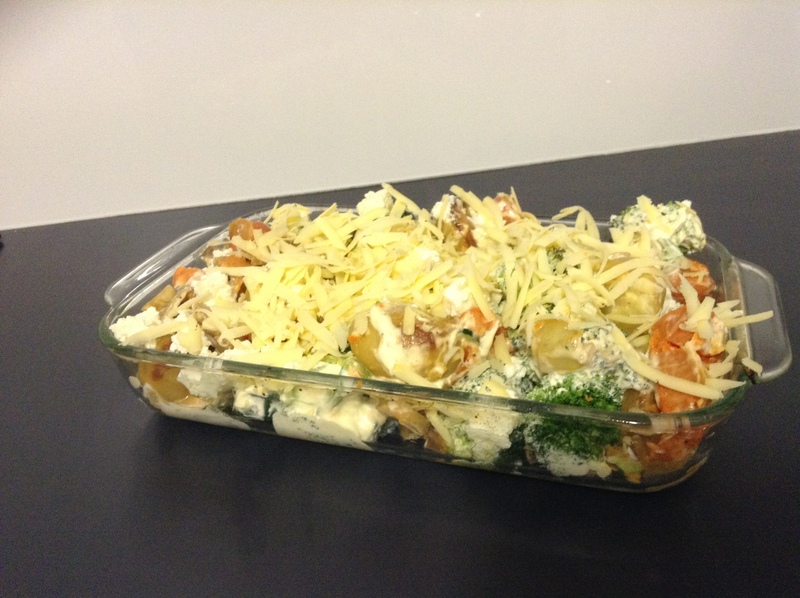 Once the potato mix is ready, mix all of them, the onion mushroom mix & the remaining ingredients in an oven proof dish, top with tasty cheese & bake for 45 minutes – 1 hour, or until the cheese begins to golden at 180* celcius. Previous Post It’s cold and rainy outside. Time to make my homemade Chicken Udon Noodle Soup. Next Post I love this Salad. I’m sure you will too!